You will learn the history of the house below the first picture. Agnes and Paul Wittwer – great-grandparents of the owners of Villa Greta. At the end of 19th century, the family of Paul and Agnes Wittwer came into possession of Villa Greta. They had 12 children. Among others, they had a daughter named Margareta. 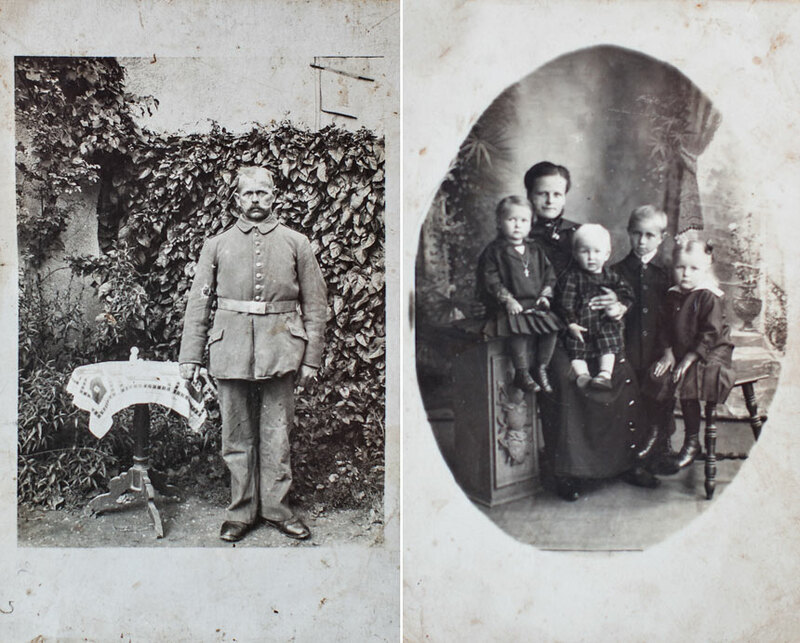 After the Second World War, the Lower Silesia became the part of Poland, and a German woman, Greta fell in love with a Polish soldier – Sybirak – Janek Kowalski. When the whole family of Greta were expulsed to Germany, Janek hid his beloved one at the attic at his friends’ house in the neighbouring village and went to Warsaw to obtain permission to marry a German woman. 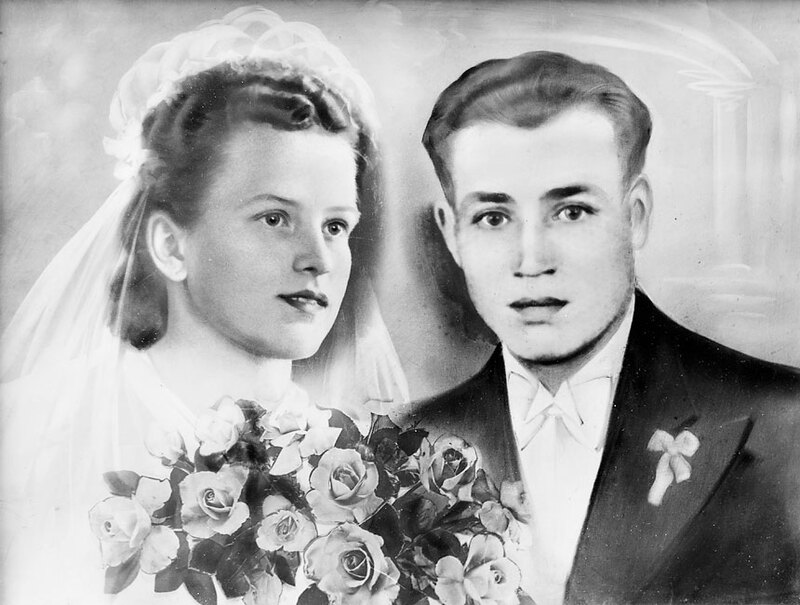 Greta Wittwer and Janek Kowalski – grandparents of the owners of Villa Greta. They settled in the house of the Wittwer family. Janek and Greta Kowalscy lived long and happily. They managed to bring up 5 children and a multitude of grandchildren. I, Krzysiek Rozpędowski, am one of them. 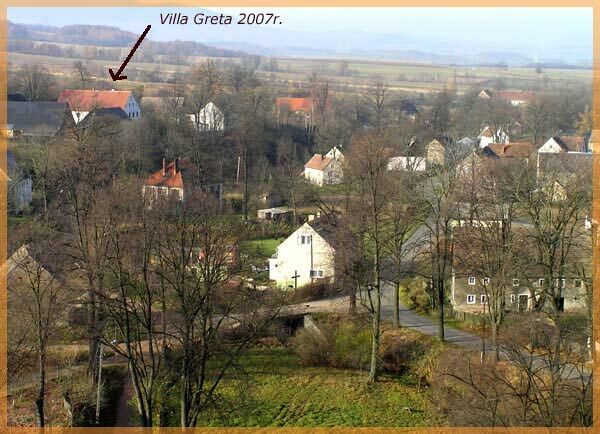 The name of the house “Villa Greta” is therefore a reminiscence of Grandma Greta. 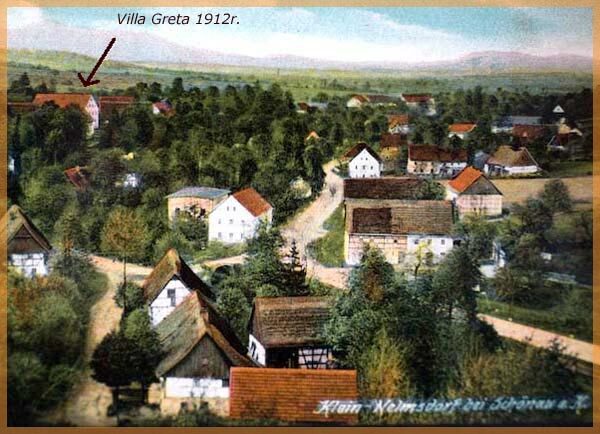 Villa Greta in 1912. Still in Kleinhelmsdorf. That was the name of Dobków before the war. Villa Greta in 2007. Already in the village of Dobków. I met my wife Ewelina during my travels. We met at the railway station in Quetta in Pakistan. Since then, we travel together. Before we realised that Poland is really beautiful, we visited many countries on several continents. We created Villa Greta guest house. We received the first guests in 2005. A lot has changed since then. 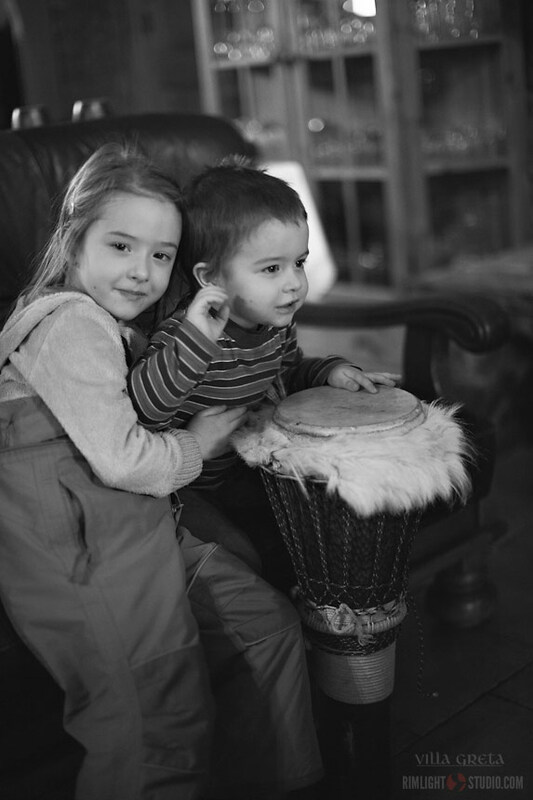 Probably the most important change was the birth of our children, Tosia in 2007 and Tymek in 2010. Since then, we do our best to make our home the most friendly place for families with children.